Cle de Peau Beaute has announced the launch of its first global philanthropic program. The Power of Radiance, as the campaign is known, will honor inspirational women whose support for girls’ education initiative has had lasting impact. The Shiseido-owned brand’s program will select an Award Recipient every year. The chosen honoree will receive a grant for a cause of her choice. 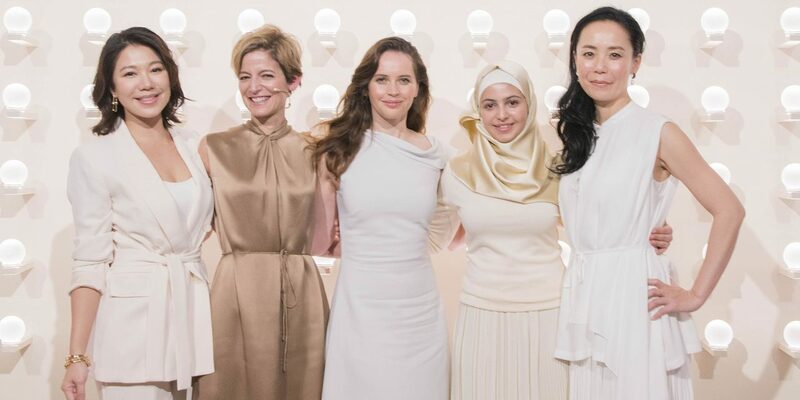 The inaugural event was hosted by Cle de Peau Global Ambassador Felicity Jones and the program’s first award recipient was announced as Muzoon Almellehan, the first person with refugee status to be appointed as a UNICEF Goodwill Ambassador.